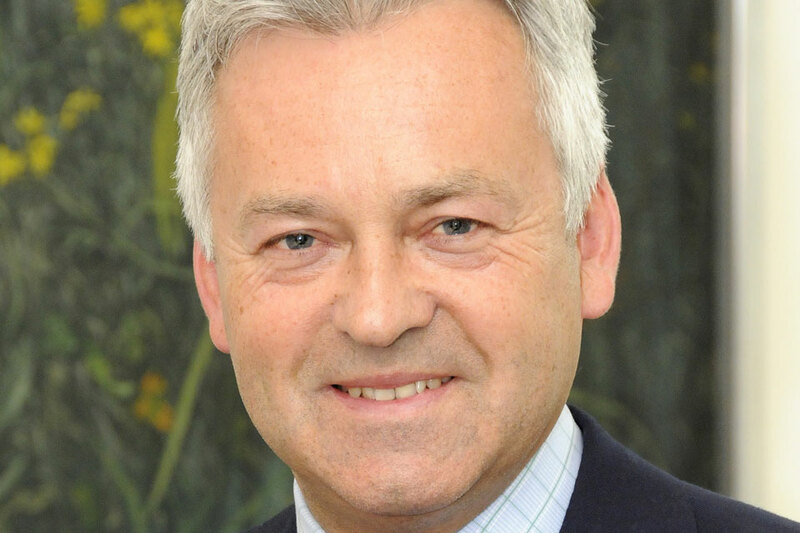 Below is the text of the speech made by Alan Duncan, the Minister of State for Europe and the Americas at the Foreign & Commonwealth Office, in the House of Commons on 12 September 2017. At last Thursday’s statement I undertook to update the house as appropriate and I thank you Sir for the opportunity to do so now. My Right Honourable Friend the Foreign Secretary is on his way at this very moment to the Caribbean to see for himself our stricken Overseas Territories and further drive the extensive relief efforts that are underway. The thoughts of this House and the whole country are with those who are suffering the ravages of one of the most powerful Atlantic Hurricanes ever recorded. It followed Hurricane Harvey and was set to be followed by Hurricane Jose. Over half a million British nationals – either residents or tourists – have been in the path of Hurricane Irma, which has caused devastation across an area spanning well over a thousand miles. The overall death toll in the circumstances is low, but unfortunately 5 people died in the British Virgin Islands, and 4 in Anguilla. At this critical moment, our principle focus is on the 80,000 British citizens who inhabit our Overseas Territories of Anguilla, the Turks and Caicos Islands and the British Virgin Islands. Commonwealth Realms in the Caribbean have also suffered, including Antigua and Barbuda and the Bahamas, as well as other islands such as St Maarten and Cuba. We have around 70 British nationals requiring assistance on St Maarten and are working with the US, German and Dutch authorities to facilitate the potential departure of the most vulnerable via commercial means today. To prepare for the hurricane season, the government acted 2 months ago by dispatching RFA Mounts Bay to the Caribbean in July. This 16,000-ton landing ship from the Royal Fleet Auxiliary is one of the most capable vessels at our disposal. And before she left the UK in June the ship was pre-loaded with disaster relief supplies; facilities for producing clean water; and a range of hydraulic vehicles and equipment. In addition to the normal crew, the government ensured that a special disaster relief team – consisting of 40 Royal Marines and Army personnel – was also on board. This pre-positioning of one of our most versatile national assets – along with an extra complement of highly skilled personnel – allowed the relief effort to begin immediately after the hurricane had passed. By Friday night, the team from RFA Mounts Bay had managed to restore power supplies at Anguilla’s hospital, rebuild the emergency operations centre, clear the runway and make the island’s airport serviceable. The ship then repositioned to the British Virgin Islands, where its experts were able to reopen the airport. Meanwhile in the UK, the government dispatched 2 RAF transport aircraft on Friday – carrying 52 personnel and emergency supplies for over 1,000 people. On Saturday, another 2 aircraft left for the region to deliver a Puma transport helicopter and ancillary supplies. This steady tempo of relief flights has been sustained – yesterday it included a Voyager and a C-17 – and I can assure the House this will continue for as long as required. And already 40 tonnes of UK aid has arrived, including over 2,500 shelter kits, and 2,300 solar lanterns. Nine tonnes of food and water are being procured locally today for onward delivery. Thousands more shelter kits and buckets are on the way from UK shortly. HMS Ocean is being loaded with 200 pallets of DFID aid and 60 pallets of Emergency Relief Stores (ERS) today. Five thousand hygiene kits, 10,000 buckets and 504,000 Aquatabs, all DFID funded, are going onto the vessel. As I speak, 997 British military personnel are in the Caribbean. RFA Mounts Bay arrived in Anguilla again yesterday at dusk as 47 police officers arrived in the British Virgin Islands to assist the local constabulary. We should all acknowledge and thank the first responders of the Overseas Territories’ own governments, who have shown leadership from the start, and are now being reinforced by personnel from the UK. And many people, military and civilian, have shown fantastic professionalism and courage in their response to this disaster, and I hope I speak for the whole House in saying a resounding and heartfelt thank you. Now this initial effort will soon be reinforced by the flagship of the Royal Navy, HMS Ocean. The government has ordered our biggest warship in service to leave her NATO task in the Mediterranean and steam westwards with all speed. HMS Ocean loaded supplies in Gibraltar yesterday and will be active in the Caribbean in about 10 days. Within 24 hours of the hurricane striking, my Right Honourable Friend the Prime Minister announced last Thursday a £32 million fund for those who have suffered, but in the first desperate stages, it is not about money – it is about just getting on with it. And the Foreign Office Crisis Centre has been operating around the clock since last Wednesday, coordinating very closely with DFID and MOD colleagues. They’ve taken nearly 2,500 calls since then and are handling 2,251 consular cases. The government has convened daily meetings of our COBR crisis committee. Over the weekend, my Right Honourable Friend the Foreign Secretary spoke to the Governors of Anguilla and the British Virgin Islands – along with Governor Rick Scott of Florida, where Irma has since made landfall over the weekend. I have spoken to the US Assistant Secretary of State for Europe about the US Virgin Islands in respect of logistics support for the British Virgin Islands. As well as those affected across the Caribbean, some 420,000 British citizens are in Florida – either as residents or visitors – and UK officials are providing every possible help. My Right Honourable Friend the Foreign Secretary spoke to our Ambassador in Washington and our Consul General in Miami, who has deployed teams in Florida’s major airports to offer support and issue Emergency Travel Documents to those who need them. The House will note that Irma has now weakened to a tropical storm, which is moving north west into Georgia. And on Friday, I spoke to the Prime Minister of Antigua and Barbuda. The hurricane inflicted some of its worst blows upon Barbuda and a DFID team has been deployed on the island to assess the situation and make recommendations. Put starkly, the infrastructure of Barbuda no longer exists. I assured the Prime Minister of our support and I reiterate that this morning. On Saturday, my Right Honourable Friend the Foreign Secretary spoke to the Prime Minister of Barbados to thank him for his country’s superb support, acting as a staging post for other UK efforts across the Caribbean. Mr Speaker, we should all be humble in the face of the power of nature. Whatever relief we are able to provide will not be enough for many who have lost so much. But hundreds of dedicated British public servants are doing their utmost to help and they will not relent in their efforts.